K10D problem or memory card issue? I am down in Australia on vacation and have been taking alot of pics....not a problem at all..until...Yesterday I was taking some and shut the camera off and when I turned it back on again a few minutes later the memory card crapped out, the camera says there are no images on the card and there should be about 200 jpeg and raw images...camera still shows I have only room for 38 more pics on it and if it was empty that would be significantly higher. Got back to my father in laws and pulled the card out and plugged into the card reader and the computer doesn't even show the files on it. The card is a ATP Pro SDHC 4 GB card. The camera has never been dropped or banged on anything....never wet. Are my pics lost forever or are they recoverable....is it a card issue or a problem caused by the camera? I am quite concerned here and disappointed that I lost my images. Since your camera says there is only room for 38 images on a 4 GB card, I would think that the files are indeed there. It's possible the camera can't see the files because for whatever reason the camera created a new directory to save the files into. It's also possible the card reader you're using (particularly if it's built-in to a computer or printer, is probably not compatible with SDHC cards. Your best bet is to use the USB cable to plug in the camera to the computer directly then look for your files that way. The card reader came with the card so it will read the SDHC cards. Usually when you plug in and look at the file created on the card it has the first folder you open then there is another folder that contains the pics/files...there isn't that second folder when I open the first one. I think they are there but where is the question...strange that nothing shows up on my computer in the file. I plugged the camera directly in and when you check the properties of the card it shows that 3.05 GB have been used and there is only 799 MB left. It's beyond my computer knowledge and know-how. Sounds like your card has had a corruption in the directory structure. Not sure if any of the files are recoverable at all. You might be able to use the card again though by formatting it. There might be companies out there that recover lost files ... but do not know of any off the top of my head though. Its not locked at all...I checked that and was hoping that was the issue but no luck. Also did a search of the card on the computer for any files and nothing coming up. Well no matter what happens that will be the last ATP card I use. Any suggestions on card manufactures I should look at? Is it worth going to the high end expensive pro type of cards? Last edited by harv3589; 07-07-2007 at 11:30 PM. Well, now that the simple stuff is out of the way, then it's probable that the directory tree got "pooched" somehow. I checked ATP's site to see if they offered any file recovery tool but found nothing(my SanDisk Extreme came with a file recovery tool on CD). There are several programs that can help you recover your images, and you can purchase them and download them on the spot. There is one that allows you do full recovery with the evaluation version: Digital photo recovery - ZAR image recovery function - Not recommending it as I have never used it, just telling you it exists and could possibly work for you. I just sent off a second email to the ATP company to see if they can help me out and point me in the right direction. SanDisk rescuePro Deluxe 4.0 (includes support for PEF, 3.2 does not). Apparently it's not available as a download from the website ...only comes with their Extreme III SDHC 4GB SD card. I use sandisk extreme iii with my k10 and had recently to recover pictures. I tried both sandisk software and pc inspector with the same results. http://www.pcinspector.de/smart_media_recovery/uk/welcome.htm. it was jpg only. Good luck. Did you happen to get your card close to a magnetic surface? I've never used the product so I am not endorsing it. Just FYI. Other than the card difficulty, I hope that you're enjoying your stay. 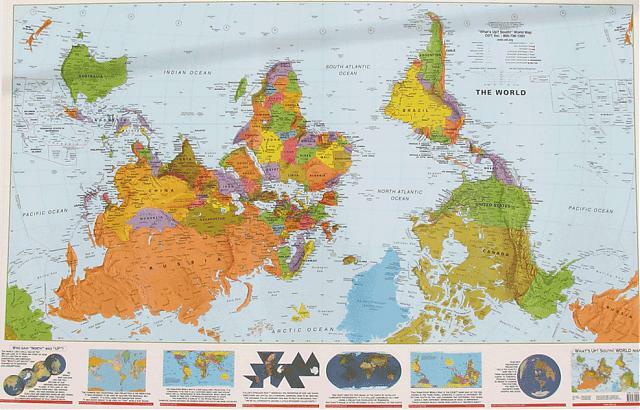 Incidentally it's up in Australia: The great majority of maps have it all wrong. are you trying to open these RAW files with the pentax software they may not be seen or recognised otherwise? also go to my computer, click on tools and then folder options. select the view tab and tick the show hidden files box and untick hide extentions from known file types. if the files have beeen hidden you may be able to see them. Can you view the images on the lcd screen of the camera? For flash recovery, I've actually used REST with good results. And it's even free PhotoREC is free too, and does a better job if REST fails (REST is easier to use tho). Never tried them with SDHC cards tho, but worth a try anyways.